Are you looking for a quality vehicle? Our incredible inventory is worth a closer look. Here you will find all of the newest vehicles straight from the Kia factory, including the Sorento, Soul, Sportage and Optima. For even more options, be sure to explore our selection of Kia Certified Pre-Owned models and used vehicles in a variety of makes and models. 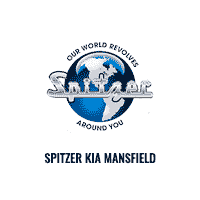 Whether you are looking for a sporty SUV or a sleek sedan, the Spitzer Kia Mansfield inventory is a worth a closer look. In addition to our wide array of vehicles, we are proud to have a dedicated service department on site. There our highly trained experts can tackle any need your vehicle might have. Our state-of-the-art facility is staffed by Kia factory trained and certified service technicians who work on many different vehicle makes and models, not just Kia products. We also sell quality OEM parts and offer installation. The team in the Spitzer Kia Mansfield Service Department is here for all your vehicle’s automotive needs.